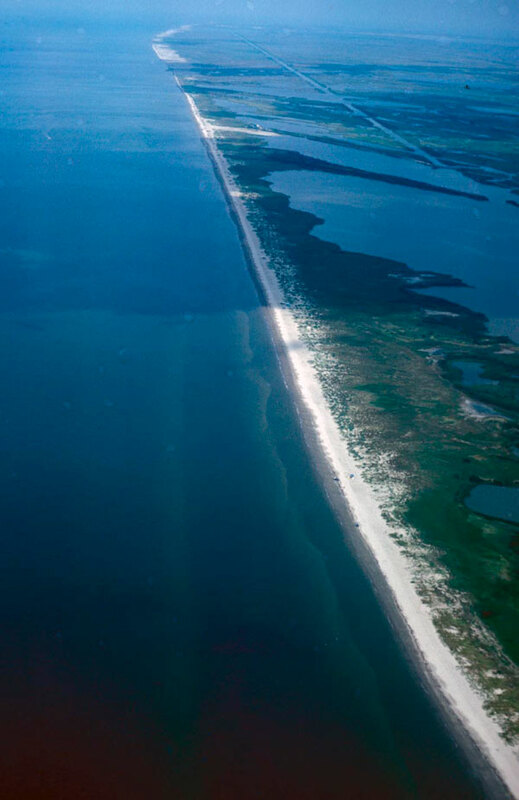 Caminada Headland is a 22.5 km (14 mile) long beach (part of which is called Elmer’s Island) that projects out in to the Gulf of Mexico from the central Mississippi River Delta. 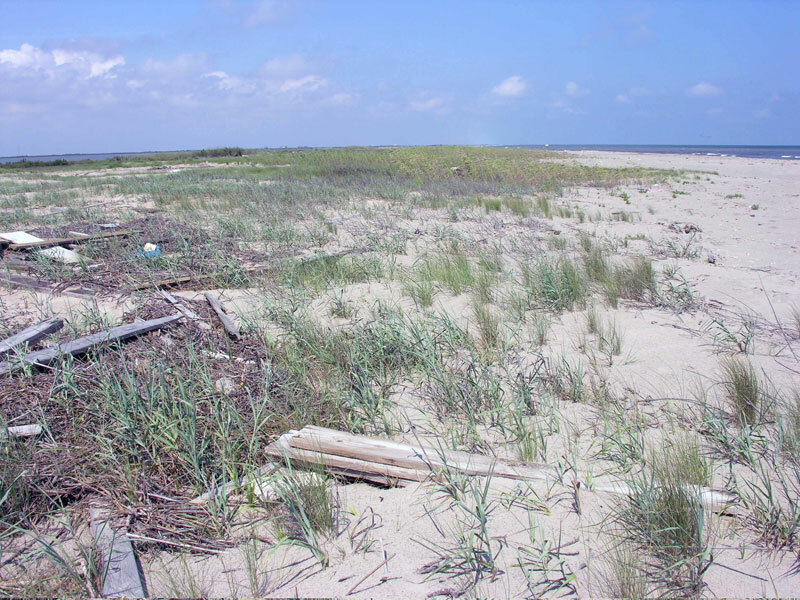 This undeveloped beach was once an unbroken stretch of fine sand with extraordinary fishing and bird-watching opportunities. The birds and fish remain, but unfortunately hurricanes have breached the beach in many places, limiting driving access. Its vulnerability to storms is a result of very low topography. Sand dunes are rarely more than a half a meter high (2 feet), and storms wash ocean water across the beach many times per year. This undeveloped beach was once an unbroken stretch of fine sand with extraordinary fishing and bird-watching opportunities. Caminada Headland is situated on the former site of the mouth of the Mississipi River. Known today as Bayou Lafourche, the former river channel was abandoned long ago when the river began to grow to its present location in the east. 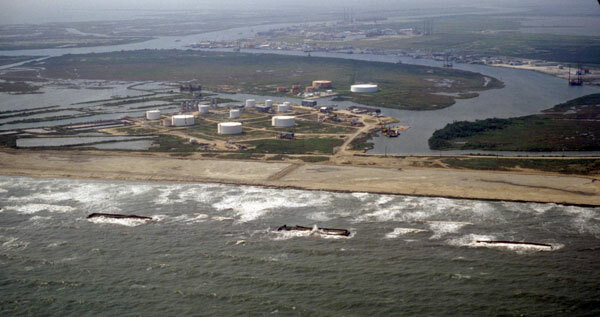 Vessels use the Bayou still, however, and on the western end of the Caminada Heaadland is Port Fourchon, a jump-off point for the Louisiana Oil and Gas industry. 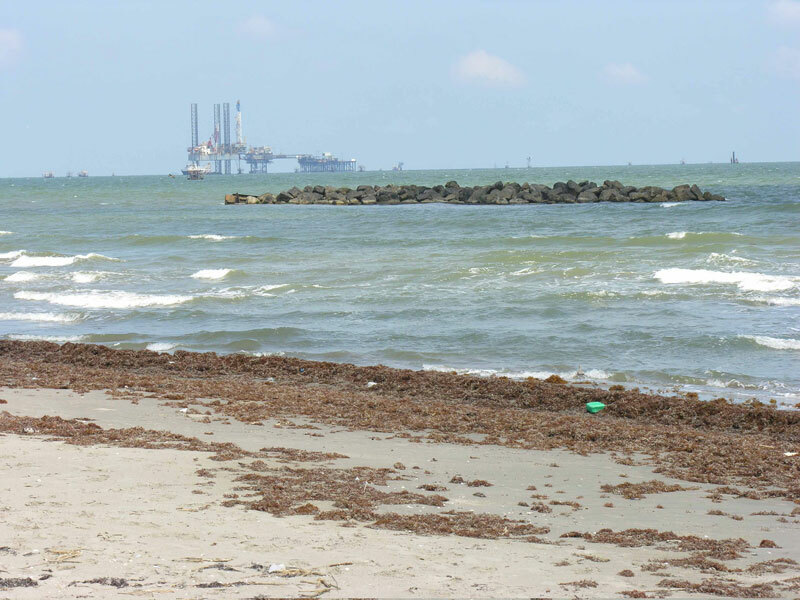 The offshore production platforms are not hard to see from the beach, and when the beach rapidly erodes (which is often), pipes connecting the offshore to land become visible. Most of these were once embedded in salt marsh peat behind the beach, but as the beach has moved landward, they have become exposed, along with thick deposits of peat, along the coast. Because of its importance to the offshore industry, Port Fourchon is sheltered from storm waves to some degree by a series of rock breakwaters and an artificially replenished beach. Caminada Headland is important as it erodes as a source of sand to nearby beaches like Grande Isle and East Timbalier Island. 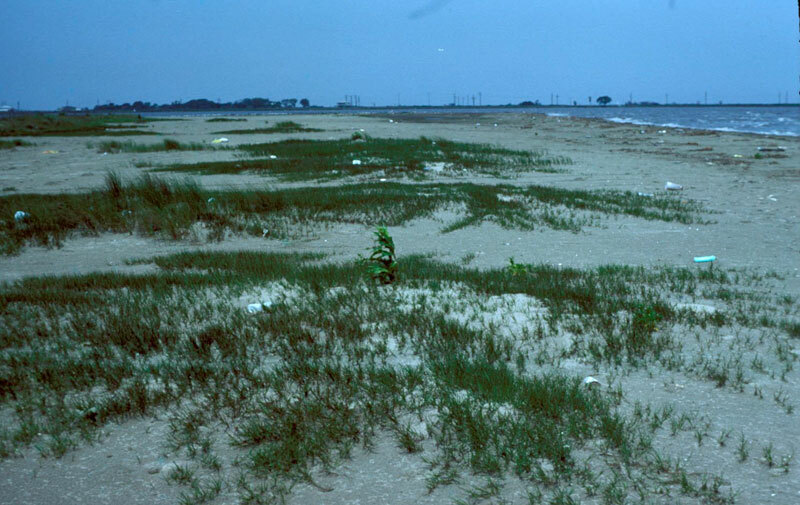 The erosion has come with both loss of land for Louisiana and loss of life. The beach is moving landward at more than 3 m (10 feet) per year, and over the past hundred years or so, many have died here during hurricanes. 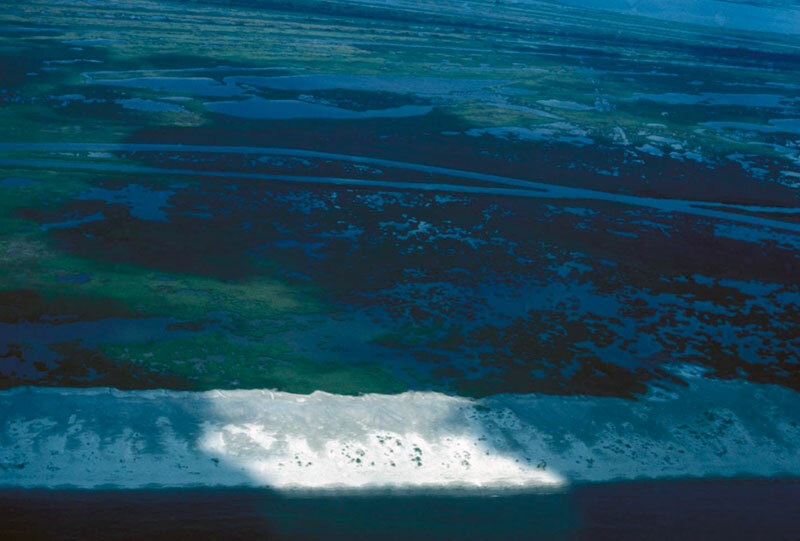 There is a movement in Louisiana to make this a protected state seashore.